Hello! 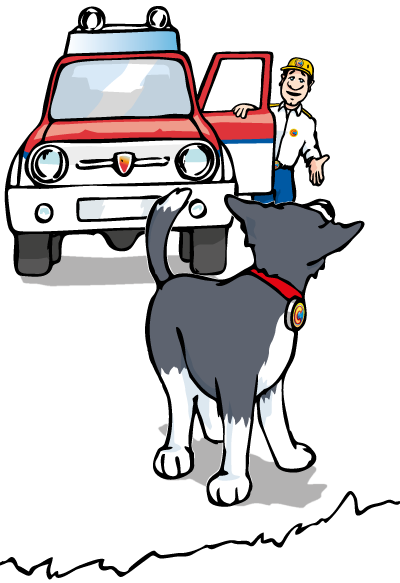 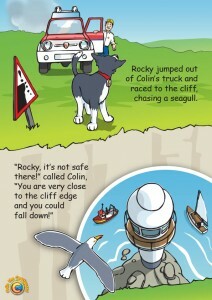 My name is Colin and I work as a Coastguard with my dog Rocky, in a coastal village called Tideswell. 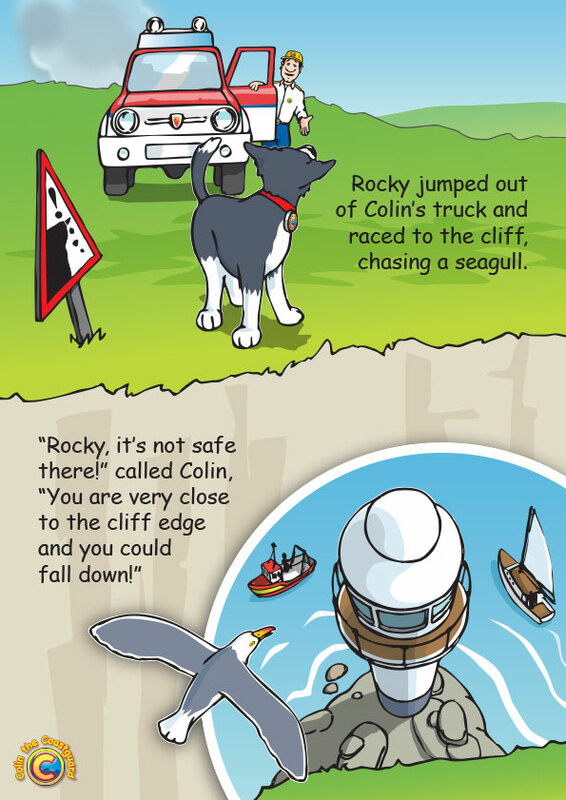 I have to make sure that people are safe when they are at sea, on the cliffs or on the beach. 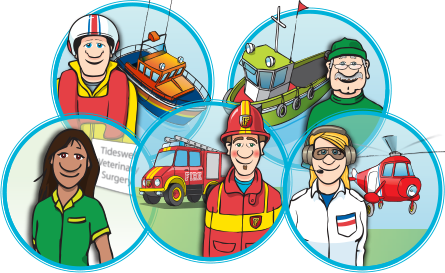 Here are some of my friends. 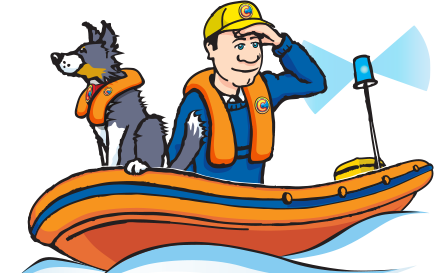 If anyone is in trouble I can contact them, they are always ready to help. 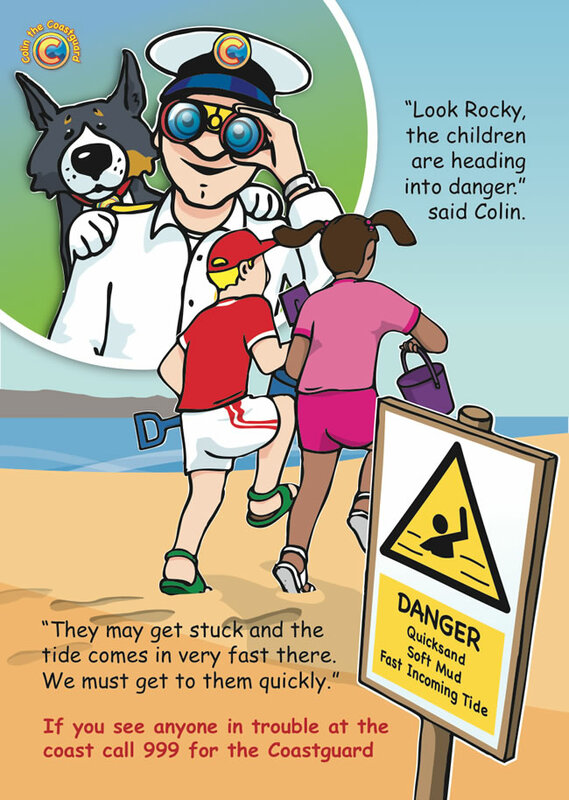 You can download my posters, they will help you stay safe at the seaside. Thank you for visiting my website, there are lots of fun activities you can download for free. 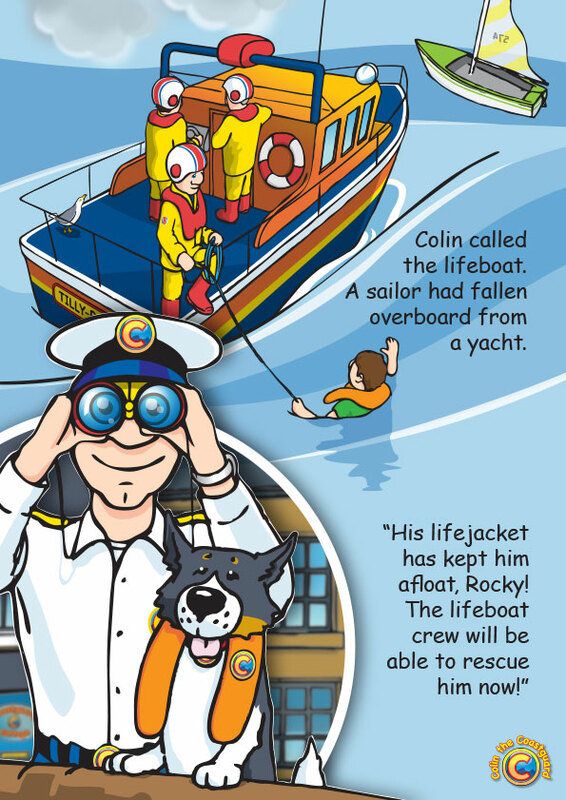 Colin the Coastguard – Children’s Picture Books are fabulously illustrated seaside adventures featuring our children’s picture book character Colin the Coastguard, his faithful Search and Rescue dog Rocky, Slippy the Seagull, Chesil the Helicopter Pilot, Goodwin the Lifeboat Coxswain, Winch the Tugboat Captain, Mrs Sharma the Vet and other friends that help Colin undertake his Coastguard duties. 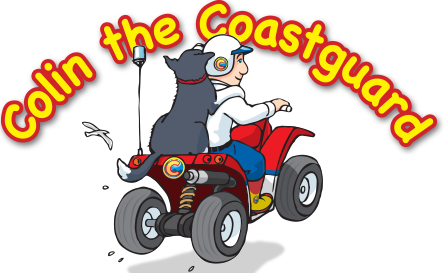 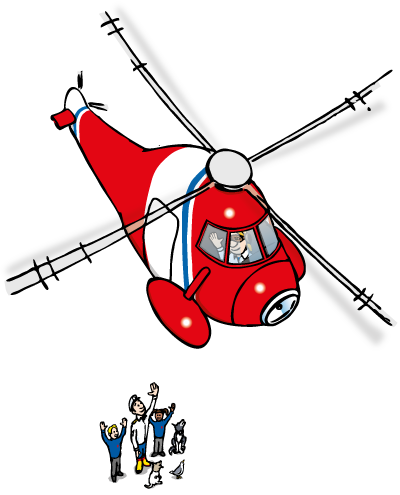 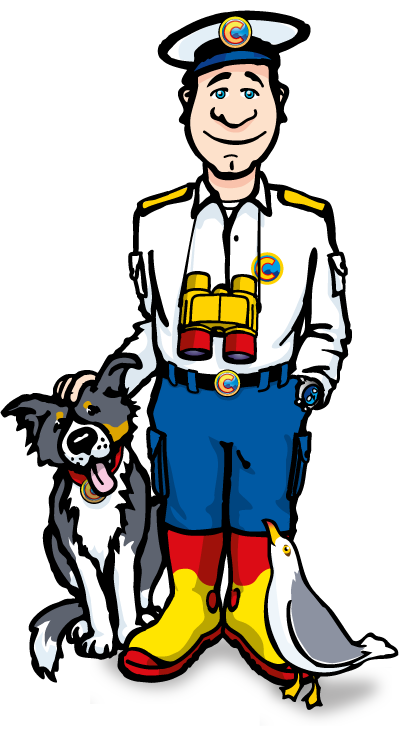 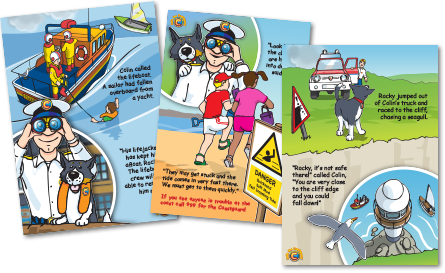 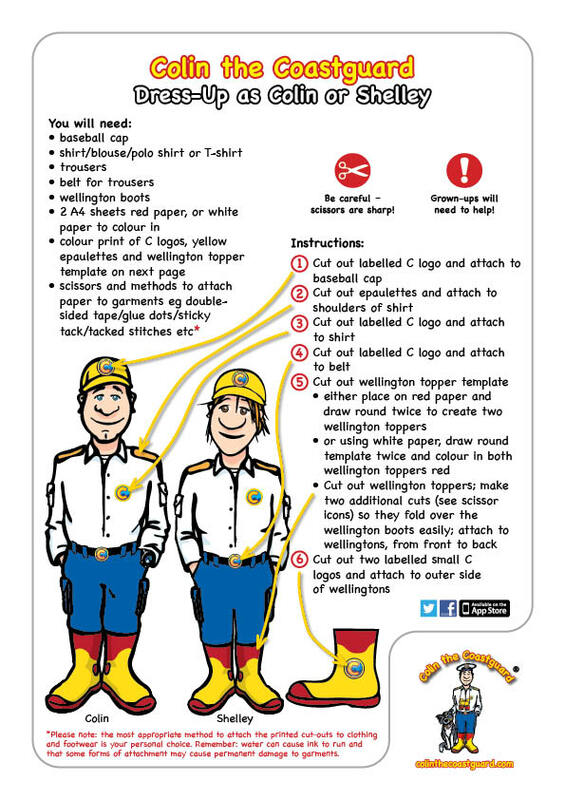 Colin the Coastguard’s website contains a range of FREE fun activities for children including, puzzles, print and colour downloads, posters and more. 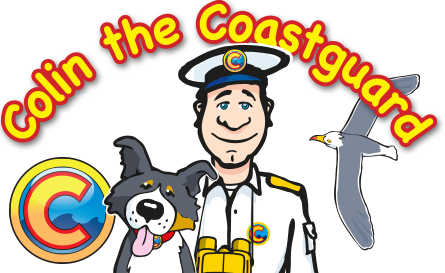 The fun activities help support the early years foundation framework, assisting development in key areas, including communication, language, literacy, problem solving, reasoning and numeracy. 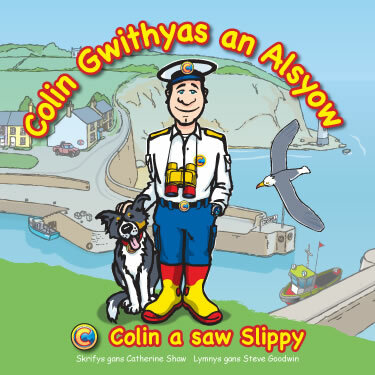 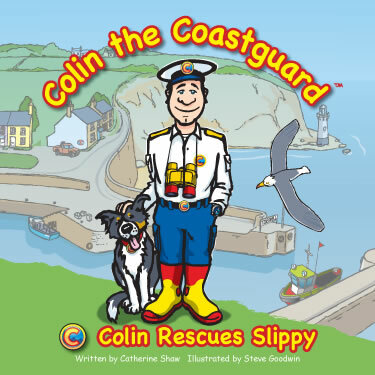 Whilst the aim of our Colin the Coastguard Children’s Picture Books is to delight, enchant and involve young readers in his exciting seaside adventures, they also assist in developing an understanding of the work of a Coastguard and how he is able to help people in trouble at sea, on the cliffs or on the beach. 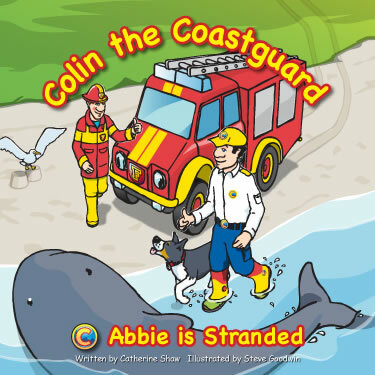 The stories also provide an introduction to the natural world and an early awareness of the environment.